Donald Trump spent all day whining and wailing on Twitter about one grievance or another, giving away just how worried he is about the progress House Democrats are making when it comes to exposing his worsening criminal scandals. But on Sunday morning, Trump only posted one tweet. What he lacked in volume, he made up for in pointedness. 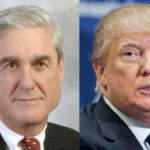 Members of Robert Mueller’s prosecutorial team began revealing to the media this week that William Barr is grossly misrepresenting what’s in the Mueller report. This has helped to ratchet up public pressure for making the report public, thus increasing the odds and swiftness with which it’ll inevitably happen. Trump seems to understand that this development is bad news for him, so he’s naturally going to war with Mueller’s team. More to the point, he’s implying he’s going to lock them up. Here’s what Trump tweeted: “Looks like Bob Mueller’s team of 13 Trump Haters & Angry Democrats are illegally leaking information to the press while the Fake News Media make up their own stories with or without sources – sources no longer matter to our corrupt & dishonest Mainstream Media, they are a Joke!” Wow, there are a few things going on here. First, he’s falsely accusing Mueller’s team of committing crimes. There’s nothing illegal about these people informing the media that the report they wrote is very different from what Trump’s flunkies are claiming. The only way Mueller’s team would be breaking the law is if it leaked classified information, which clearly hasn’t happened here. Instead, Mueller’s people have exposed that Trump’s people are conspiring to obstruct justice, which is a felony. Second, Donald Trump can’t seem to make up his mind whether he’s accusing Mueller’s team of “illegally” being the sources for these media stories, or if he’s accusing the media of merely pretending it has sources. If you go back and read his word salad, he’s essentially claiming that the people on Mueller’s team are imaginary sources, and therefore are imaginary people. He’s saying Mueller’s team doesn’t exist – and yet he wants to put them in prison. This guy can’t even get his own story straight, let alone convince anyone else of anything.